We actually spotted this a while back, then promptly forgot all about it. 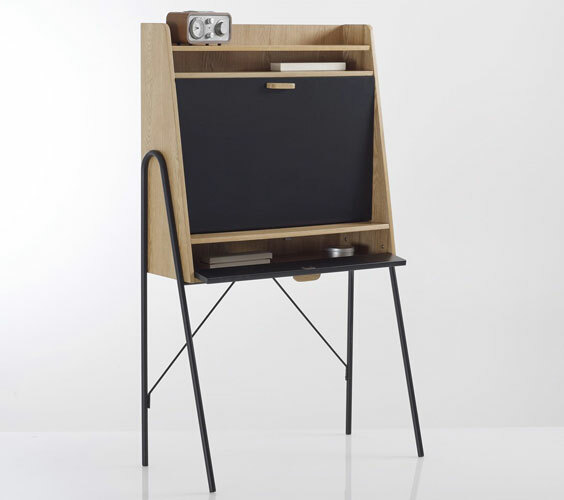 Thankfully the Quilda Retro Writing Desk at La Redoute came back on our radar today. We’re glad it did as this is a wonderful piece of retro design, especially if space is limited. 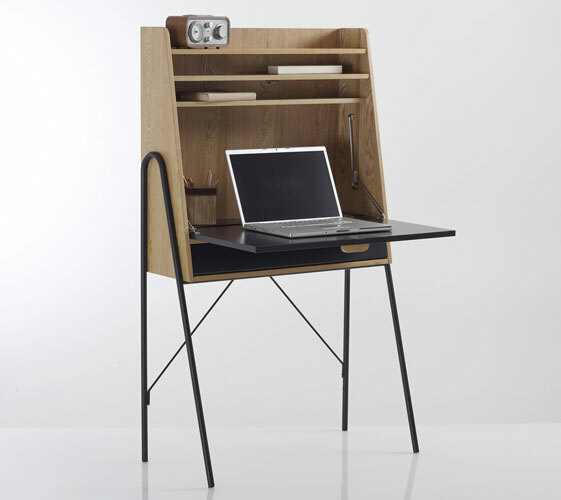 The 1950s-inspired desk goes for height rather than width, packing in storage shelves as well as a compartment with pull-down door and sliding hinge, which doubles up nicely as desk space for a laptop or writing. 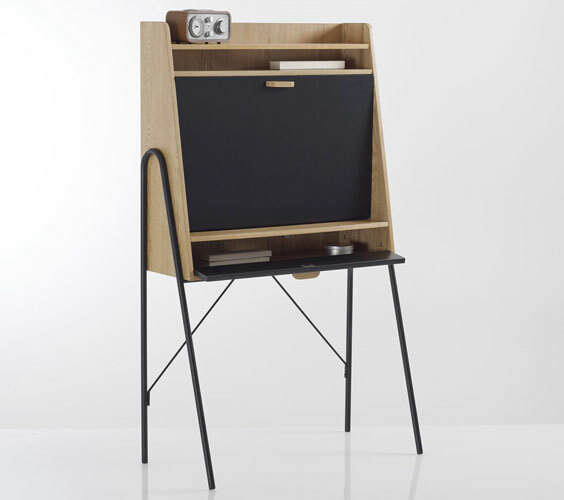 The body is made of oak-veneered MDF with nitrocellulose varnish, with tubular metal legs for support. £215 is the price.